Please note we are currently undergoing construction at our Coyote Point shelter and parking during our vaccination & microchip clinics will be limited. Please park on the north side of our shelter, near the Spay & Neuter Clinic. 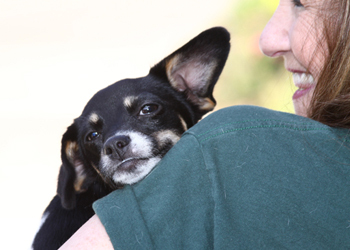 Our monthly vaccination & microchip clinics will be held our temporary auditorium near the Spay & Neuter Clinic. We hold Vaccination Clinics on the first Wednesday of every month from 6pm to 8pm in our Coyote Point Shelter temporary auditorium. These low-cost clinics provide vaccinations for Canine Influenza, rabies, canine distemper, FVRCP, FeLV vaccine as well as microchips — a permanent form of companion animal identification. For more information, please call 650-340-7022 ext. 665. Vaccinations are $15 and microchips are $30. We accept cash, credit, and check. The county is also present so you can also update your pet’s license at the same time. Please note: If a pet becomes fractious and unsafe to handle we will have to deny service but provide a refund.